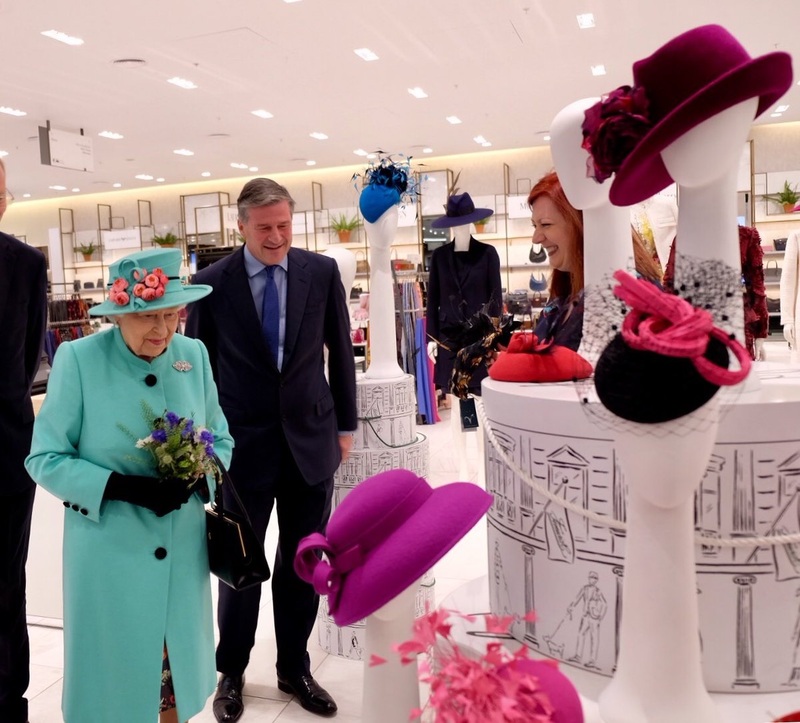 The Queen visited Bracknell to reopen The Lexicon shopping center. Although I love this clip brooch, the hat flowers here would be so great paired with the Small Pink sapphire. (Not matchy enough for Her Maj, of course.) We've also seen this minty fresh outfit with The Queen Mother's Shell Brooch. Perhaps she picked up some new color ideas while having a look around the shopping center, hmm?